Alice Waters is probably among the most influential figures in American food and cooking in recent times. She moved into Berkeley California in the early 60s as a young, single woman with a talent for cooking and much less else. Over the next 40 years, she would go on to open and run one of the most famous restaurants in the country and in the process redefine what American cuisine was about. 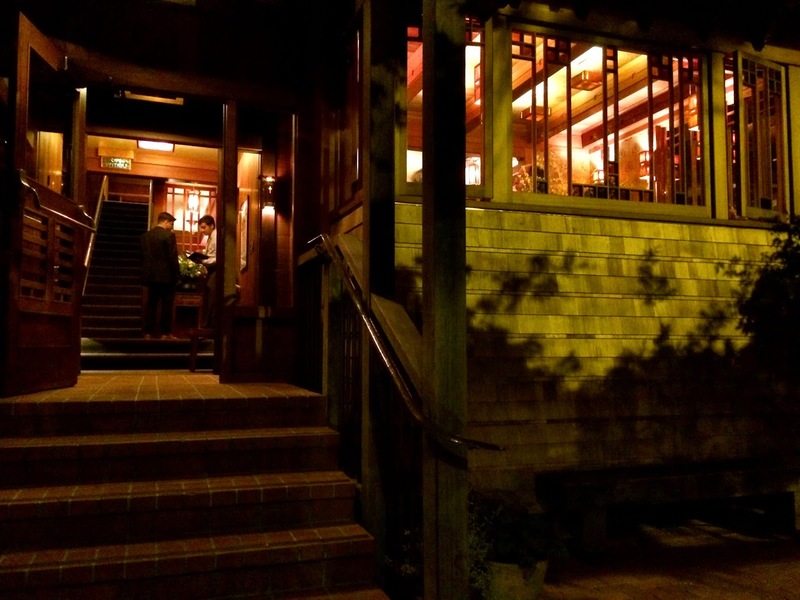 Waters opened Chez Panisse in 1971 and over the years this restaurant has won several awards and together with its famous owner spearheaded the movement towards locally sourced and organic food. 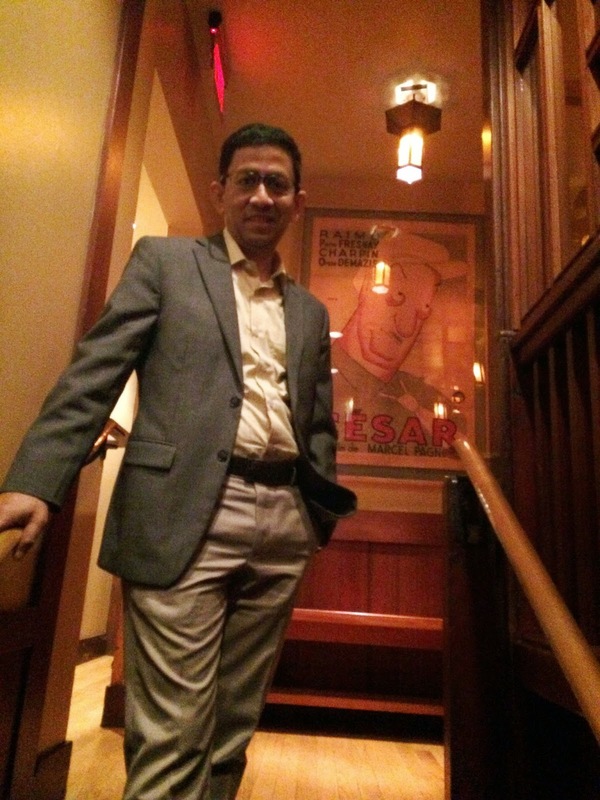 It was into this hallowed temple of American culinary history that we entered on a recent evening. Given Berkeley's reputation ss a university town, I was expecting it to be full of modestly priced apartments and low-end dining outlets. Turns out this town belongs to the rich, and the students are moneyed too! But that is a topic for another day. 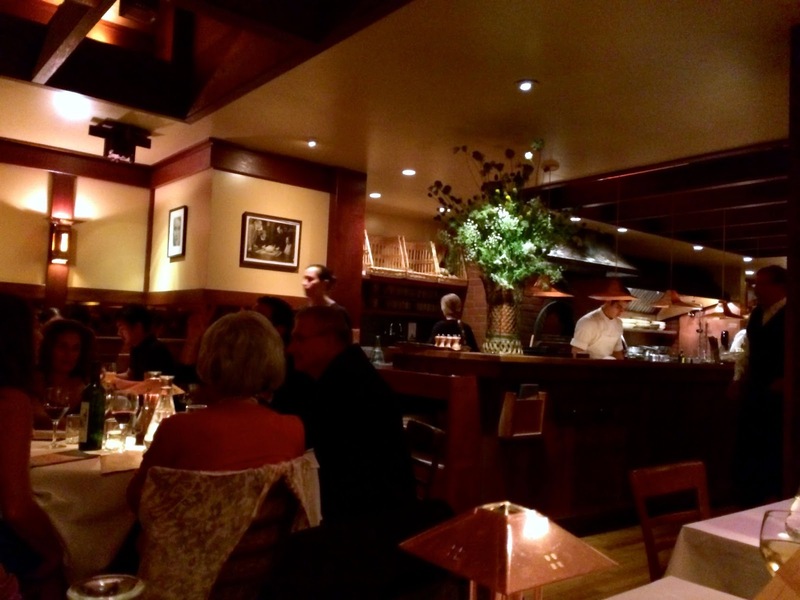 Today, we had decided to sample some of the famous Chez Panisse food, but in their more casual setting at the Cafe upstairs. While the main restaurant downstairs is formal and needs reservations much ahead of time, the cafe upstairs is livelier with a constantly changing à la carte menu. 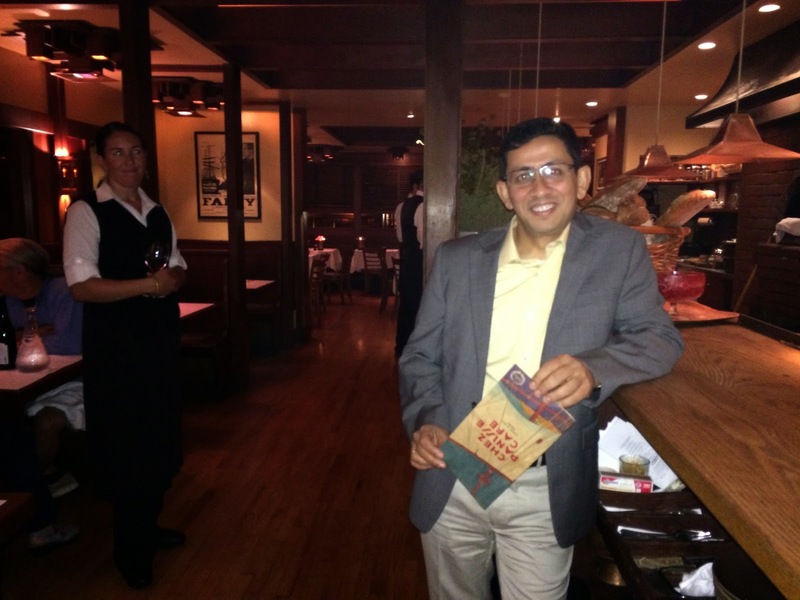 As they served some bread, we perused their menu for the day and ordered a bottle of Zinfandel that has been grown and locally produced in California specially for Chez Panisse. I decided to start with the Heirloom Tomato Salad with basil and aioli. 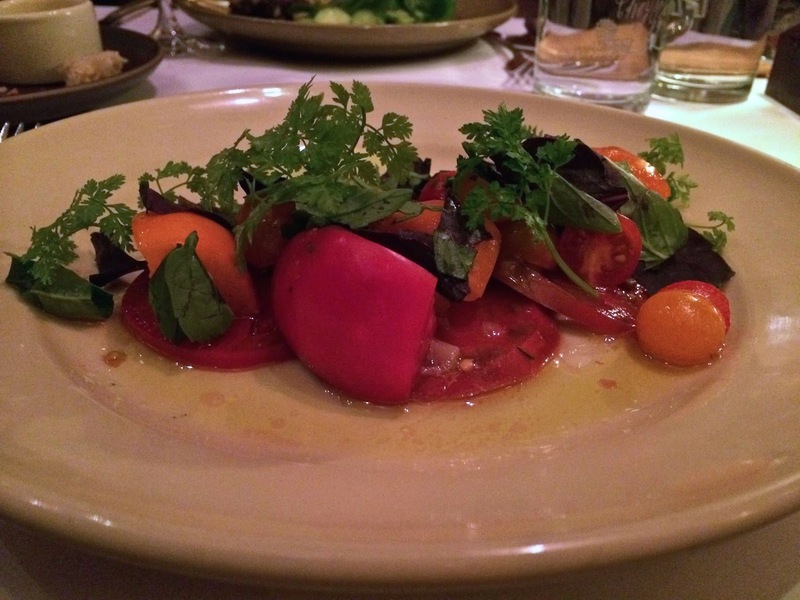 I loved the combination of sweet and tartness of the tomatoes. There seemed to be three different varieties in the salad and they were incredibly fresh and flavorful. The simple ingredients that made up the salad worked splendidly together. 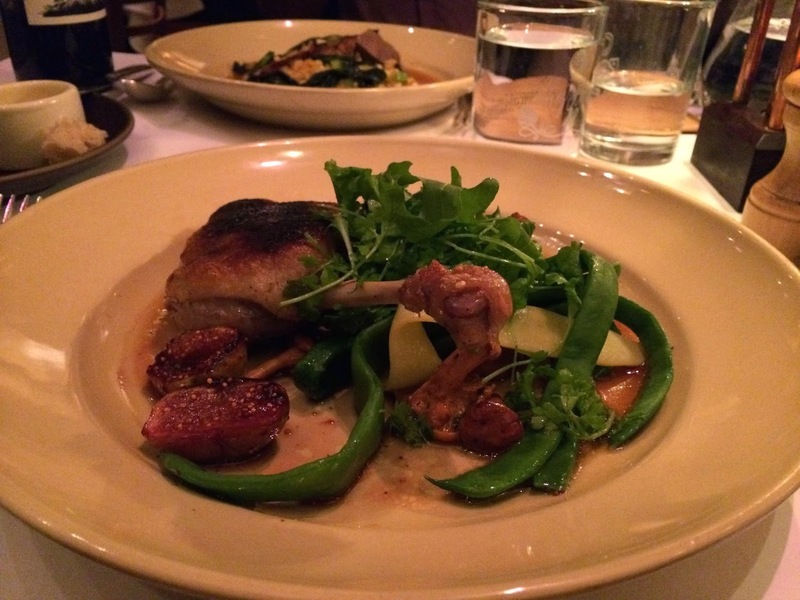 My second course was the Sonoma County duck leg confit with Romano beans, Chanterelle mushrooms and Black Mission figs. This was one helluva dish! The confit was absolutely decadent: sumptuous, meltingly tender and hugely tasty. The beans were particularly good and worked wonders with the figs and greens in the dish. 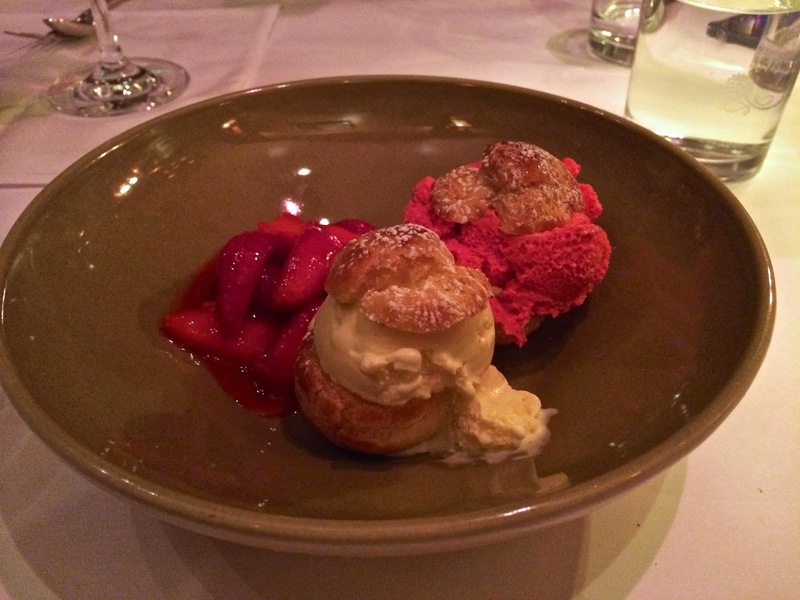 We brought the curtains down on this memorable dinner with raspberry and vanilla profiteroles with strawberries. This was a lovely ending to a meal in a legendary California institution. Clearly the restaurant hasn't lost its touch after all these years, several chefs and a recent fire. 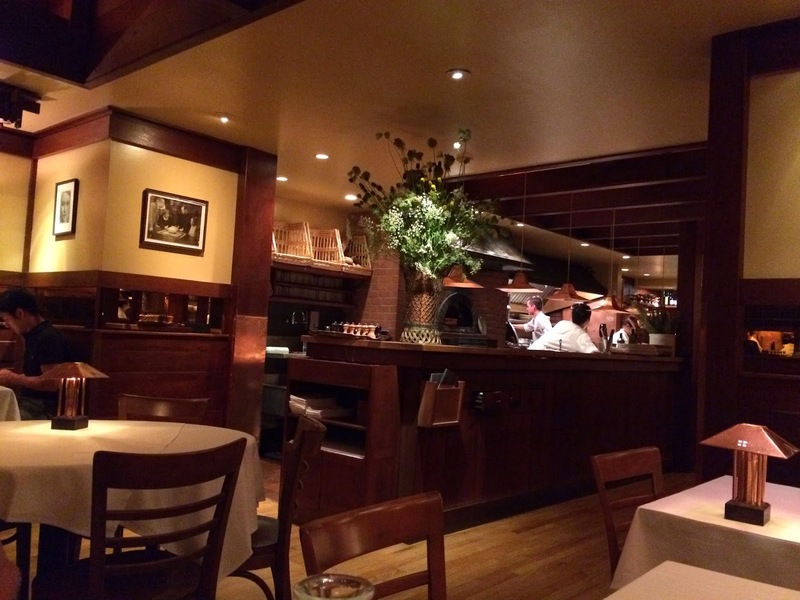 Their outstanding relationships with local food and wine producers ensures the best and fresh ingredients every day. The old-world charm of the quaintly designed restaurant and its long history makes this a very special place for any serious foodie.